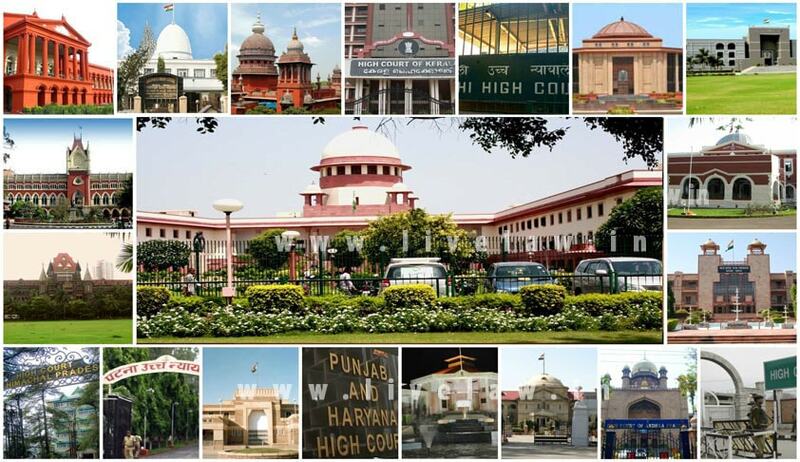 The Collegium has recommended Justice Hemant Gupta for Madhya Pradesh High Court; Justice Abhilasha Kumari for Tripura High Court; Justice B D Ahmed for Jammu and Kashmir High Court; Justice Pradeep Nandarajog for Rajasthan High Court; Justice Rajendra Menon for Patna High Court; Justice T Vaiphei for Hyderabad High Court; Justice H G Ramesh for Madras High Court; Justice T B Radhakrishnan for Chhattisgarh High Court and Justice P K Mohanty for Jharkhand High Court. Earlier LiveLaw had reported that Kerala High Court judge Justice Thottathil B Radhakrishnan is likely to be appointed as the next Chief Justice of Chhattisgarh High Court and Patna High Court judge Justice Navaniti Prasad Singh may be the next Chief Justice of Kerala High Court. The Collegium had recommended the names of four High Court Chief Justices and a High Court Judge for the elevation to the Supreme Court of India. They are Rajasthan HC CJ Naveen Sinha, Madras HC CJ Sanjay Kishan Kaul, Chhattisgarh HC CJ Dipak Gupta, Kerala HC CJ Mohan M Shantanagouder and Karnataka HC’s Justice S Abdul Nazeer.